Wow man, this is a really awesome shot. This looks like a fantastic place to shoot as well. How long did you spend there shooting? @Jason – I was there for 5 hours from 5:30 AM :) As the sun rose up, went down for a hike into the Queen’s Garden – yeah that is what it is called ! I could have stayed there forever, but had to push back as I was with family ! And yes it is one awesome place to shoot !!! 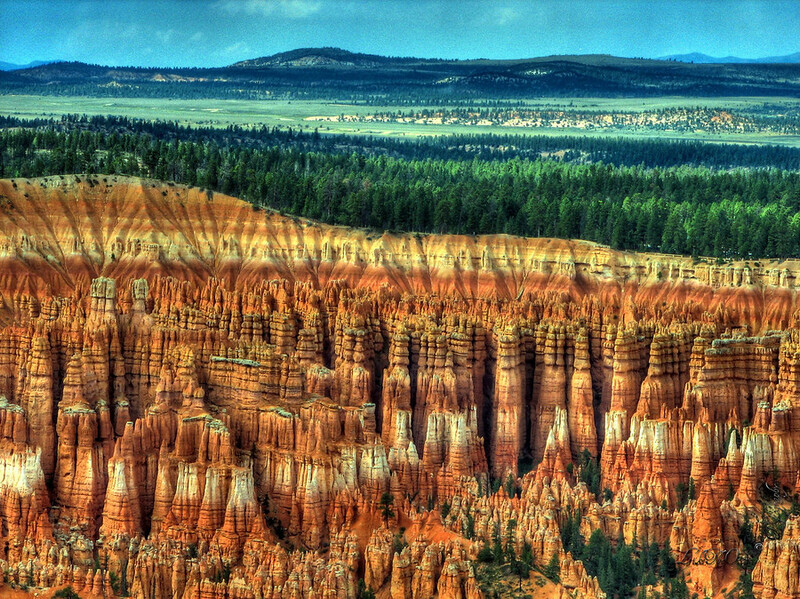 p.s : In case u r interested, here is the gallery with few of my shots from Bryce visit ! Hey, thanks for pointing me to your gallery. Those are some really, really awesome photos man! Have a great weekend! Hey Jason, Glad u enjoyed it ! Thanks ! u too have a great blast over the weekend !!! spectacular and fantastic! what a wonderful mix of color and light – must be a blast to capture through different light and angels! Great one! @FramedAndShot – Thanks !!! It indded was a blast ! This is unreal!! How do you manage such things? I have never enjoyed photo blogs so much as I do now. I am loving it and can’t stop admiring the eyes of the camera and the brains behind it….great combination and the final effect – MAGICAL!!! You have displayed the different layers of earth in one shot. I would never expect to see such things in real other tthan in movies like Lord of the Rings or something…….Too gud Sathya. Keep it up! @Shree – First off thanks on such a generous compliments – being compared to movies or something – am humbled, really !!! Part of the magic is probably due to the HDR technique , similar to camera filters or black and white tech – each of which evokes a specific feel in the photos. Lot of my friends have been curious and asking abt the same. One could just google, but am planning to get something written on my work flow to share the secrets / tips around the same soon. I’m digging all the layers and colors! Spectacular. You’re reminding me of all the places in the US I have yet to see!